Code signing costs time and money to maintain - and clearly it no longer serves its main purpose of suppressing security warnings. 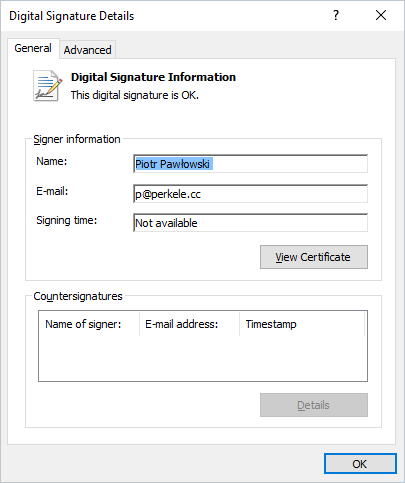 Effective now we quit using digital signatures on foobar2000 installers. 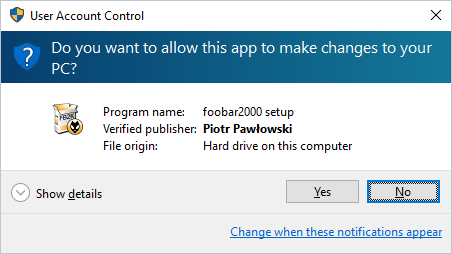 If you have a problem trusting installers downloaded from us, use VirusTotal - VirusTotal report for unsigned foobar2000 1.3.10 installer.